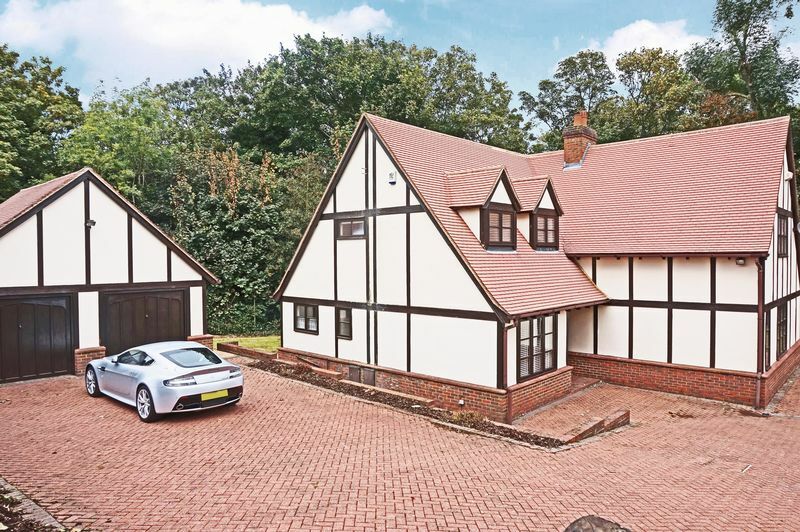 Spacious & immaculate, 4/5 bedroom Tudor style detached property in gated and secluded grounds MASSIVE CHARACTER!!!!. 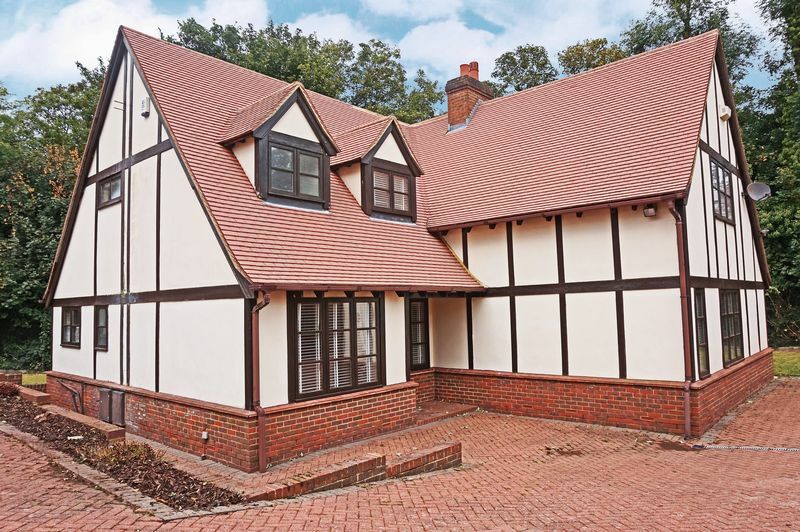 Harpers & Co are delighted to present this large unique and character-filled property which was built in the late 1980's with a mock Tudor style. 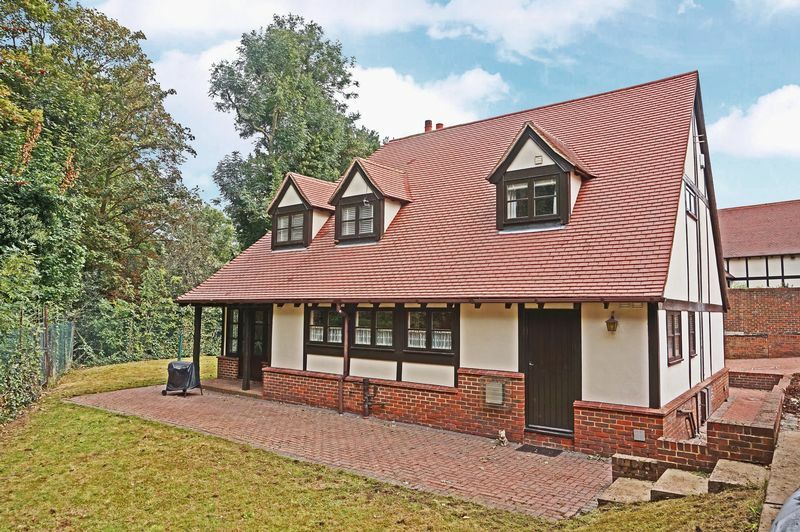 This property is a credit to the current owner & is filled with charm. 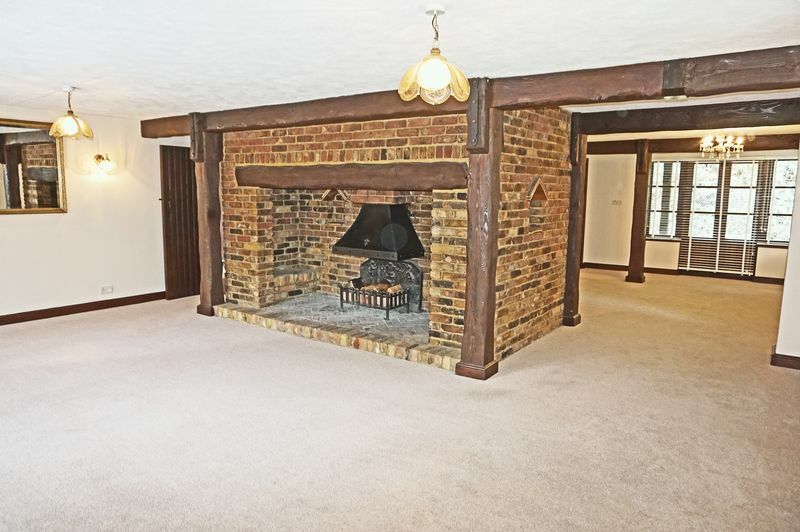 The ground floor comprises and very impressive large reception room with walk-in feature fireplaces on both sides & filled with original oak beams. 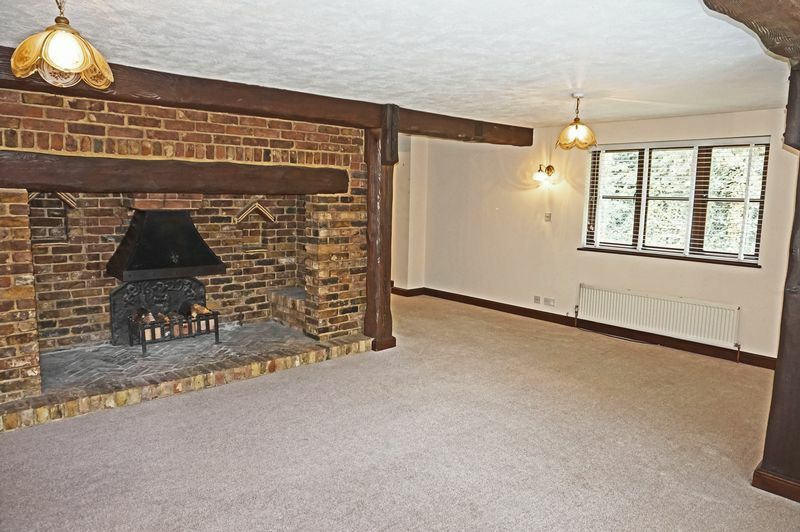 On the ground floor there is also a huge reception with walk in brick featured fireplace on both sides which is a real show stopper. 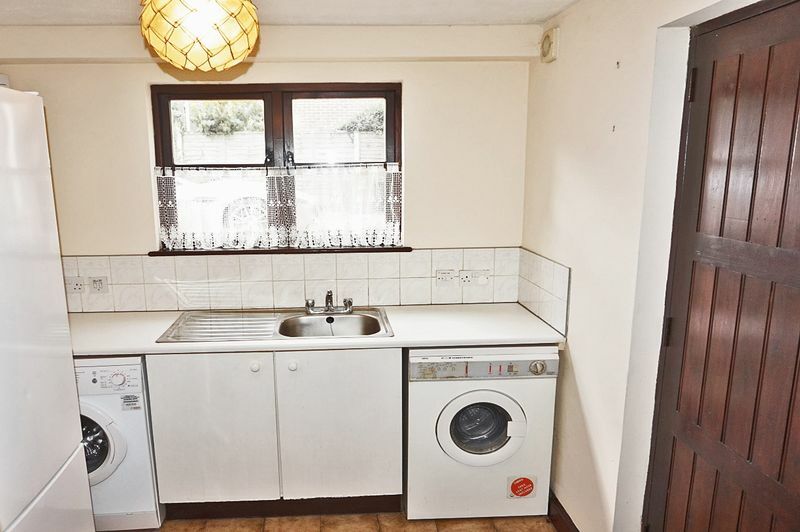 There is also well sized kitchen, utility room, study, with good access to the garden & drive. 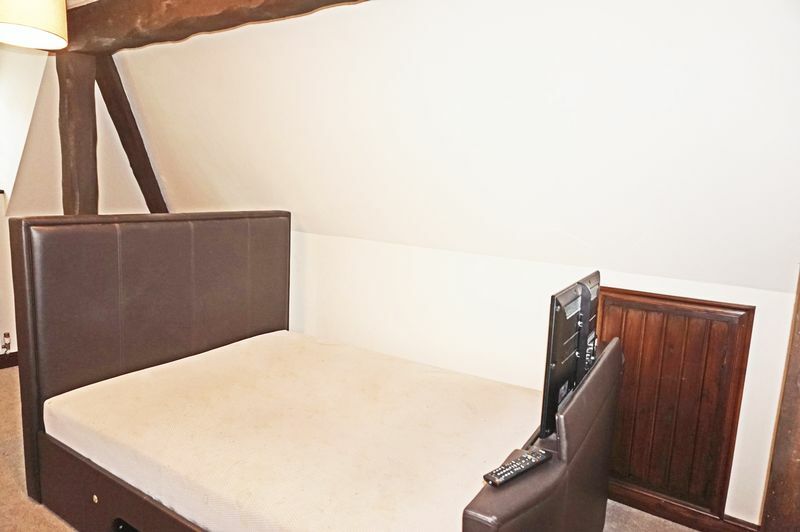 The ground floor also has its own W/C with storage room. To the first floor there are 4 double bedrooms, all very well specified and the master bedroom has its own en-suite and walk in wardrobe. 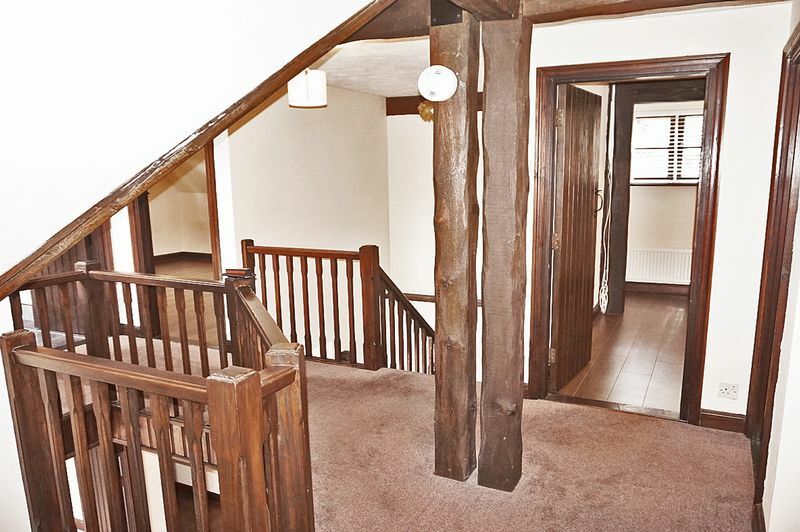 The first floor landing is galleried with a vaulted ceiling. We urge early viewings to this impressive & unique property which is rare to market and will suit busy families who want privacy and luxury. Professionals only by appointment only through Harpers & Co on 01322 524425. The Aston Martin is not included . Oak laminate flooring throughout, exposed brickwork, Tudor beams, skirting, coving, 1 x radiator with TRV valve, pendant light to ceiling, PIR alarm, smoke alarm, gallery staircase feature, hardwood door with stained glass inserts & wrought iron fittings, side window with integrated Venetian blind, large under-stair storage cupboard. 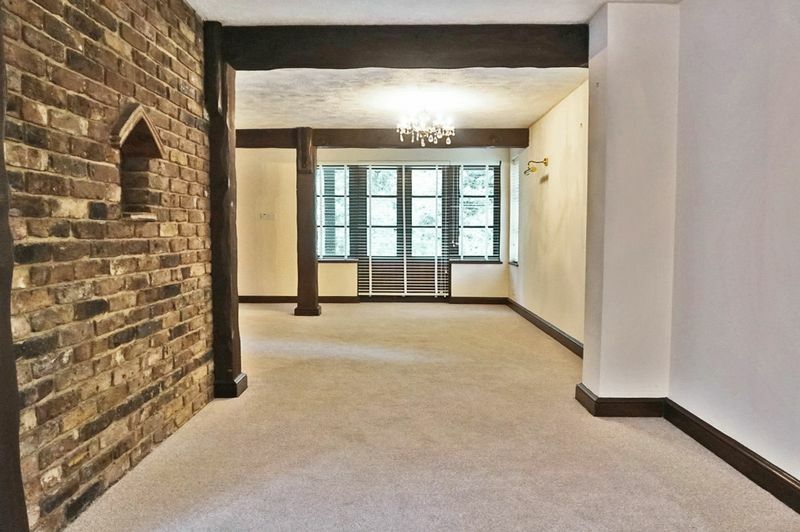 Fully carpeted throughout, skirting, coving, multiple plug points throughout, wall mounted lights, 2 x pendant light to ceiling, mock Tudor columns & beams, walk-in exposed brickwork feature fireplace with wood burning stove, 2 x radiators with TRV valves. 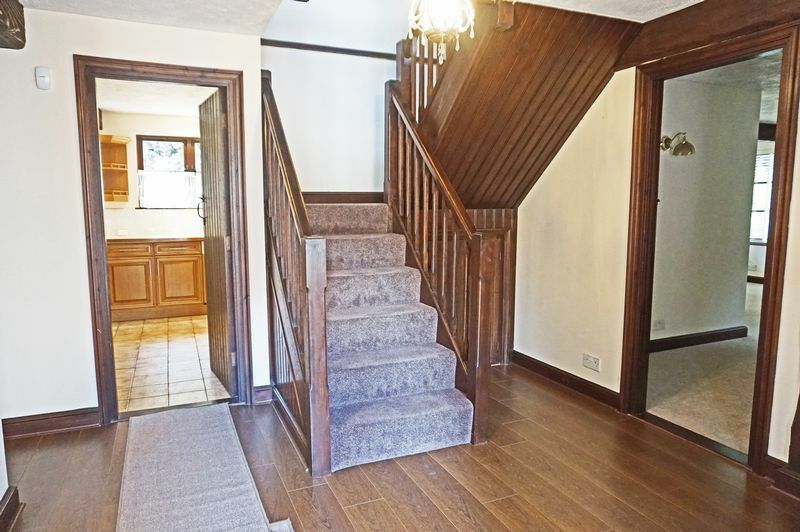 Rear section of reception is also fully carpeted throughout, fireplace exposed brickwork alcove & stove, 1 x radiator with TRV valve, wall mounted lights, ceiling mounted chandelier, French doors lead to paved patio area. Fully tiled throughout, skirting, wall mounted & floor mounted shaker style kitchen units, laminate worktop, ceramic basin with left-hand drainer & chrome mixer taps, double Hotpoint oven, integrated microwave, extractor fan, 4 ring ceramic hob, spotlights to ceiling, double glazed windows with side elevation views. Fully tiled throughout, skirting, integrated kitchen units with washing machine washing machine & tumble dryer, stainless steel basin with right-hand drainer & chrome taps, fridge freezer, pendant light to ceiling, double glazed window, extractor fan, multiple plug points, door to storage cupboard & door to rear garden. 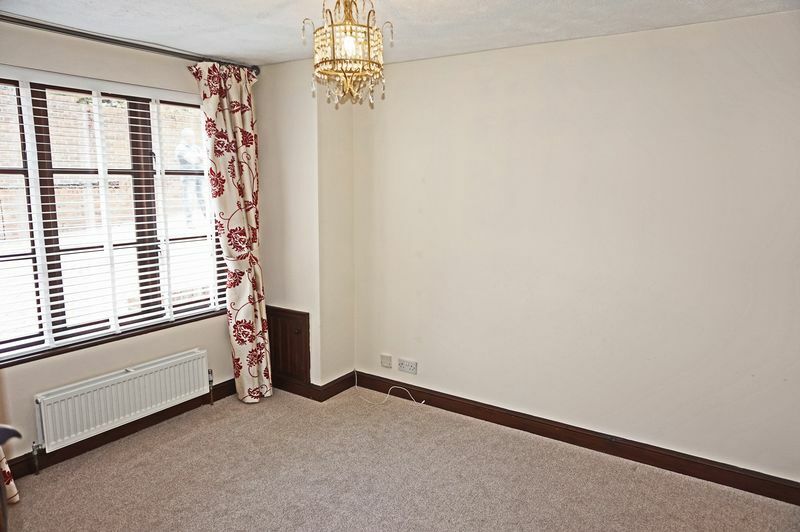 Fully carpeted throughout, skirting, 1 x radiator with TRV valve, chandelier pendant light to ceiling, mock Tudor beams, double glazed window with front garden views, multiple plug points throughout. 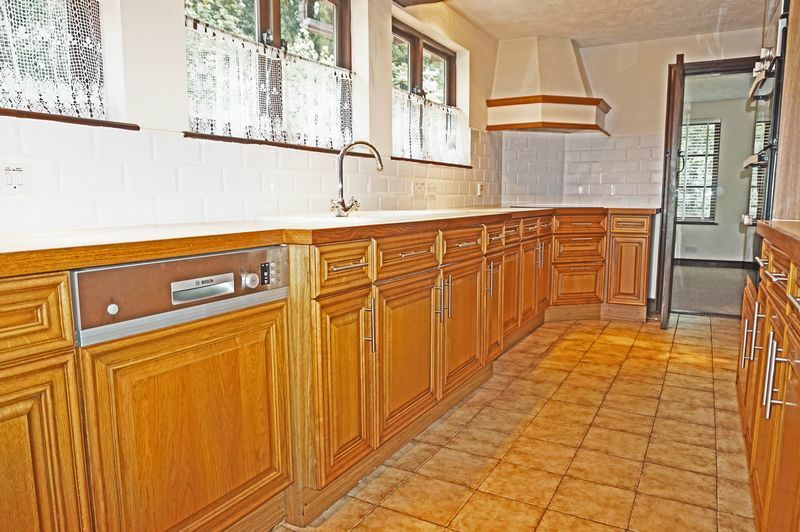 Oak effect laminate flooring throughout, wall mounted basin with chrome mixer taps, low level W/C, 1 x radiator with TRV valve, double glazed frosted window, storage cupboard, spotlights to ceiling. 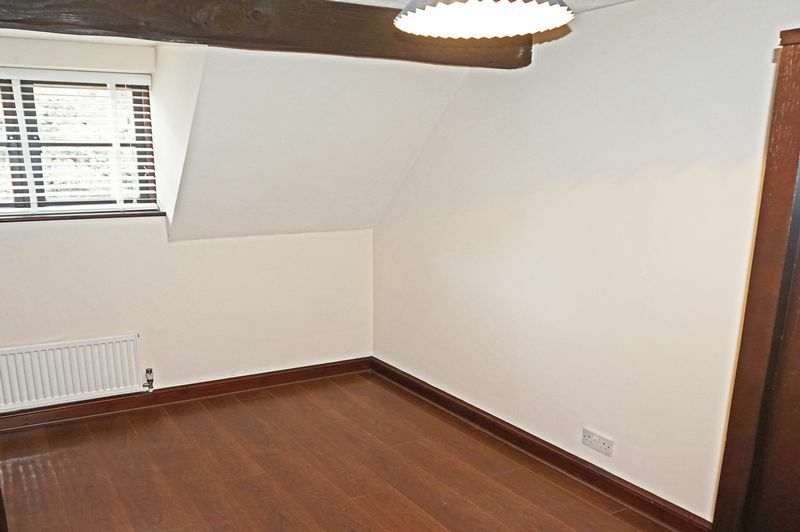 Fully carpeted throughout, gallery landing, pendant lights to ceiling, mock Tudor columns & beams, smoke alarm, loft hatch. 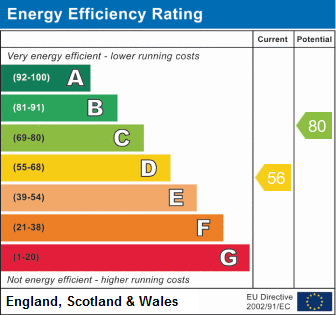 Fully carpeted throughout, skirting, 1 x radiator with TRV valve, mock Tudor columns & beams, double glazed windows with integrated Venetian blind, chandelier pendant light to ceiling, walk-in wardrobe (1.0m x 4.2m), multiple plug points throughout, door to en suite. 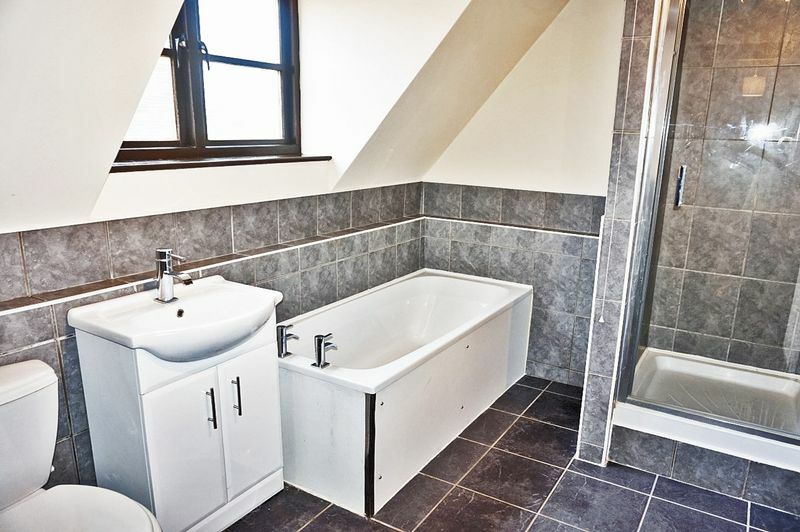 Fully tiled throughout, corner bath with chrome taps, low level W/C, low level basin with chrome taps, electric shaving point, wall mounted mirrored vanity, glass shower cubicle with power shower, double glazed frosted glass windows, extractor fan, 1 x radiator with TRV valve, spotlights. 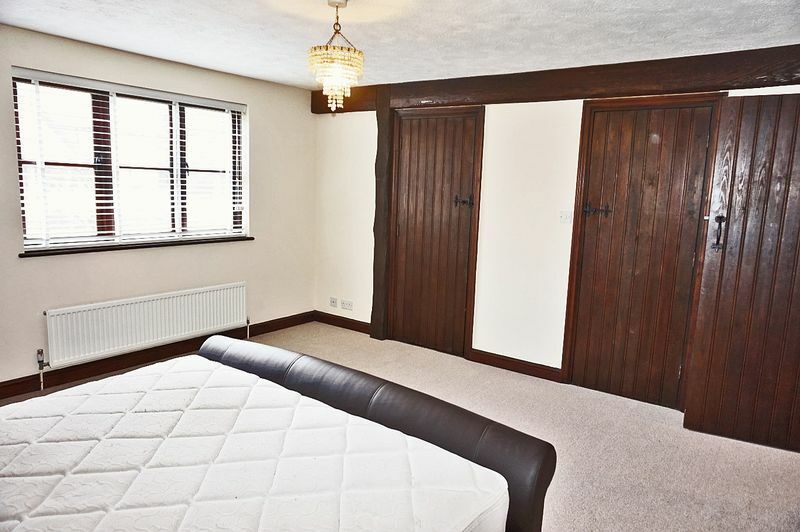 Fully carpeted throughout, skirting, 1 x radiator with TRV valve, mock Tudor columns & beams, double glazed windows with integrated Venetian blind, chandelier pendant light to ceiling, storage under eaves, multiple plug points throughout. 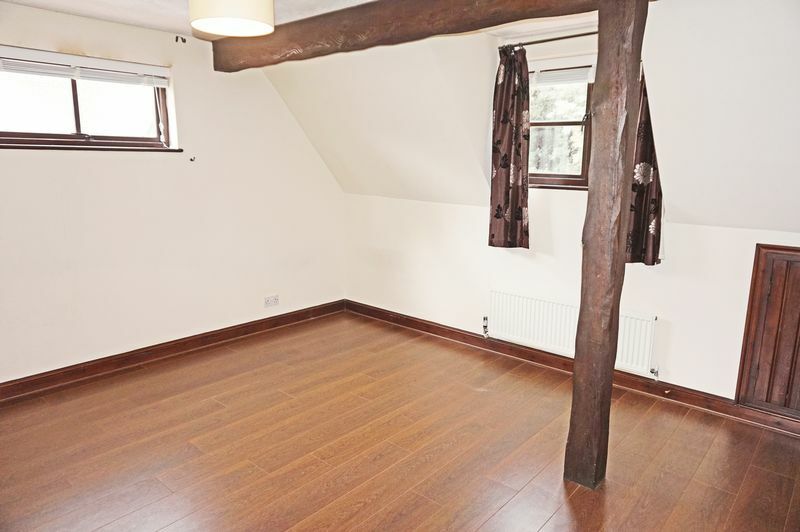 Oak laminate flooring throughout, skirting, 1 x radiator with TRV valve, mock Tudor beams, double glazed windows with integrated Venetian blind, chandelier pendant light to ceiling, storage under eaves, inbuilt storage cupboard, multiple plug points throughout. 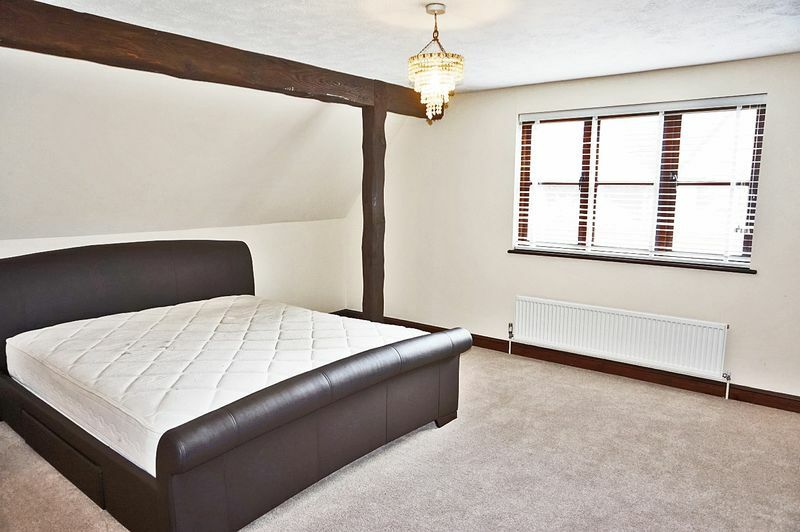 Oak laminate flooring throughout, skirting, 1 x radiator with TRV valve, mock Tudor columns & beams, double glazed windows with integrated Venetian blind, chandelier pendant light to ceiling, integrated storage, multiple plug points throughout. 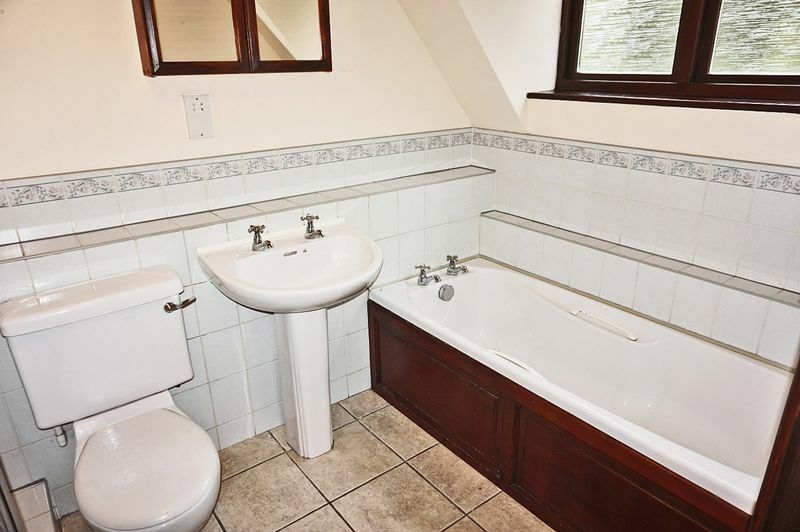 Fully tiled throughout, bath with chrome mixer taps, low level basin with inbuilt vanity unit, low level W/C, glass enclosed corner shower, extractor fan, double glazed windows with frosted glass, wall mounted mirror, electric shaver point, spotlights to ceiling.